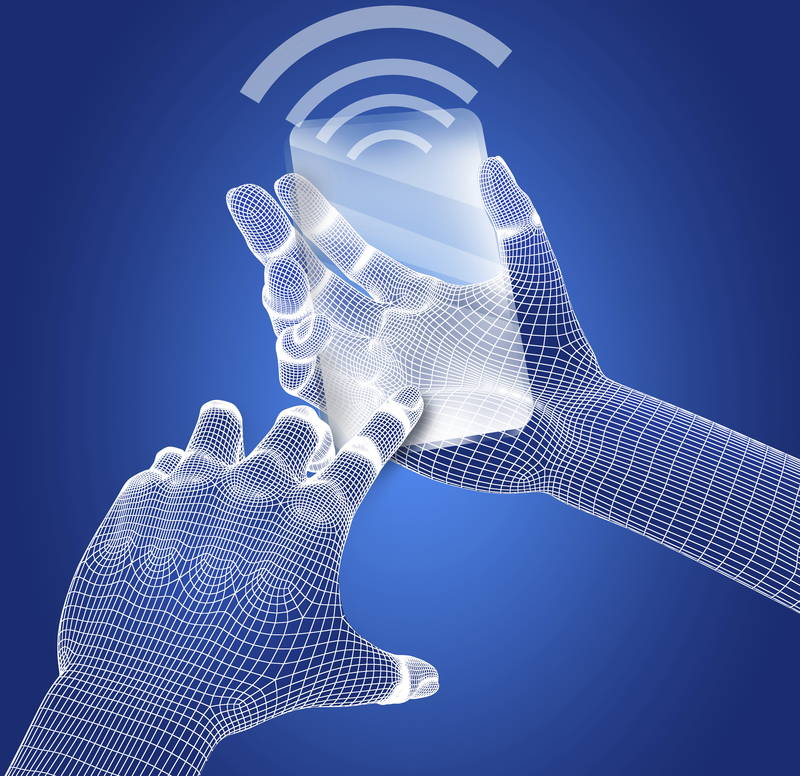 Wireless LAN in companies, a luxury or a must-have? For some companies the question arises whether it is worth having wireless LAN in the company. Others are worried that a wireless LAN network could cause security risks and even attacks on IT systems could be easier. 802.11ac is a new wireless LAN standard for meeting the demands of higher bandwidth. This new standard is an update of the .11n standard and downward compatible to wireless LAN clients operating with older standards such as 802.11a/b/g/n. The new standard uses exclusively the 5 GHz frequency. Access Points supporting .11ac should therefore always be dual radio access points for using both 2.4 and 5 GHz. In general, 802.11ac access points have two radio modules. One radio module supports clients which only have 2.4 GHz 802.11bgn. The other one is a 5 GHz 802.11ac radio module. 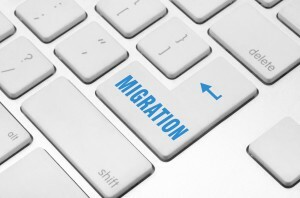 This enables a smooth migration to the new standard without excluding older clients. Furthermore, the 802.11ac radio module is also compatible to previous clients supporting 802.11a/h (4 Mbit/s) or 802.11an. A mixed operation between 802.11a/h, 802.11an and 802.11ac clients is also possible. The following aspects have to be taken into account when converting a network to the 802.11ac standard. Cabling and switches should have Gigabit standard in the LAN. Earlier versions such as 100Mbit/s should be replaced as these switches are already a bottleneck in 802.11n systems. Professional access points use 1Gbit/s LAN ports with full performance. Two Ethernet cables and a complex bundle of the two Ethernets within the switch are usually not necessary. Whether a Gigabit interface as an uplink is sufficient or a 10 Gigabit interface is necessary has to be decided individually. Business access points with .11ac standard MIMO 2×2 are recommended because they need less than 12.4 watts and can therefore operate according to the common 802.3af standard via PoE. 802.11ac access points with 3×3 or 4×4 MIMO are not recommended because these need up to 21 watts requiring the mandatory conversion of the PoE infrastructure to work correctly. Access points with 3×3 or 4×4 MIMO can in theory be installed on PoE switches with a 12.4 watt capacity, however the performance of these devices drop, as they would switch to an “emergency program mode” which would only allow them to use 2×2 MIMO. Moreover, 3×3 and 4×4 MIMO access points have higher electricity costs of up to 25€ per year. If the customer wishes to take a network that has currently been operating on the 2.4 GHz band and convert it to an .11ac 5 GHz network, then a new site survey would be necessary. First of all, the channel bandwidth has to be determined. Every administrator tries to achieve the best performance from hardware and tends therefore to set up the best possible channel bandwidth (e.g.80 MHz). Nevertheless, in wireless LAN infrastructure with several access points, it has to be taken into account that the same radio channel can be used by several access points but you have to ensure that the field strength of the reused channel at the installed site of the access point is already low enough. To put it more simply: The access points using the same channel have to be far apart from each other. Teldat’s current access points can be integrated without any problems in already existing installations, and even without large investments. Compared to access points with MIMO 3×3 or MIMO 4×4, Teldat’s devices with MIMO 2×2 have technological advantages. At this time, an investment of MIMO3x3 or MIMO 4×4 access points do not make sense yet because only few terminal devices support this technology. In particular, caution should be taken with low cost devices from the consumer market because these devices very rarely support DFS channels in the 5 GHz area which is extremely important for an .11ac installation, due to the shortage of channels available in the 5GHz network. WiFi HaLow , what is this all about? The definition of new wireless LAN standards is a continuous process for creating, as well as improving applications and for making them more secure. The best-known wireless LAN standards by IEEE are certainly 802.11n for wireless LAN applications up to 600 Mbit/s and of course the 802.11ac standards which have recently been introduced into the market, allowing applications up to 6.7 Gbps. Furthermore, this new standard exploits the streams in use more effectively (key word multi-user MIMO). Wi-Fi HaLow with IEEE 802.11ah is defined by the terms low-power and long range. This standard will no longer use the usual 2.4 and 5 GHz frequency bands but a license free band below 1 GHz. The respective frequency band is country-specific. In Europe, the frequency range between 868 and 868.6 is reserved for 802.11ah. Due to the significantly smaller frequency used by the mentioned standard compared to the current 2.4 GHz, the free space loss is considerably lower, allowing double range compared to 2.4 GHz. Moreover, the new standard will penetrate walls, ceilings or similar obstacles much more easily. A more detailed look into the new standard reveals elements which are well-known from the .11ac standard, such as multi-user MIMO and single-user beamforming. Also the modulation types are already known, DPSK (differential phase shift keying) and QPSK (quadrature phase shift keying) range between 16 and 256 QAM (quadrature amplitude modulation). Unfortunately, only 1 MHz and 2MHz radio channels are planned for the new .11ah standard. The .11ac standard defines channels with a width of 20, 40, 80 and 160 MHz. Thus, even though the range of .11ah devices will be good, the transmission rates are more geared towards applications with lower transmission rates. The small channel bandwidth enables low power consumption, thus, the new standard is perfectly suitable for battery-powered devices. Marketing strategies for the new standard focus on applications in this context. Therefore, 802.11ah is the standard used for IoT (Internet of Things), Smart Home, connected car applications, digital healthcare and many other applications. The standard has only just been approved and published recently on 4th January 2016. It will therefore be a while until the first .11ah devices are offered on the market. Moreover, in order to guarantee an interoperability between different manufactures, the WiFi Allicance offers a certification program for 802.11ah-based devices. For those who do not want to wait so long, ZigBee can also be a very interesting alternative and it is also designed for high ranges and low data rates. Zigbee operates on the 2.4 GHz band, it is already available and has an attractive price. Indeed, numerous applications in home automation and industry are in use, thanks to ZigBee. I am curious to see what will actually happen. Will the new .11ah standard eventually establish itself or will it only be used in niche applications. It will definitely take some more time until the 802.11ah is put into practice. However, the constantly increasing demands for wireless LAN bandwidth make this technology a very promising and interesting topic and will continue to draw our attention in the future. As an innovative manufacturer of wireless LAN devices, Teldat is of course looking forward to the future developments.